Ah, the fruits of an economy that gives corporations sociopathic freedoms. The economy is such a perfect match to sociopathic skills that it is hard to believe it wasn’t designed by sociopaths. If a corporate liars culture is allowed to develop, sociopaths will take it to the limit and beyond. Sociopaths are incapable of self regulation, they need adult supervision (literally, due to their existing in an arrested development state — morally, judgementwise, personality, sexually, etc.). There is an old line from Fay Vincent, the baseball commissioner who suspended George Steinbrenner for conspiring with a known gambler, Howie Spira. Steinbrenner paid Spira to get some dirt on Dave Winfield, for whom Steinbrenner had no use, and Vincent caught him doing that and kicked him out of the game. There was no moral alarm for Bernie Madoff as he systematically ruined fortunes and pension funds, and ultimately lives, and didn’t get stopped until now. He is the biggest thief we know about, but only for now, because he is caught. You wonder how many more like him end up in orange jumpsuits before this is over. I love that phrase, “no moral alarm sounded” — never does for sociopaths, must be quite an advantage over us. What a con! Folksy, magnetic. Laid a trail of candy for his marks to follow. I have often heard it remarked that these conmen are soft sell artists. I believe that is only superficially true. I think that they are actually using all their abilities and concentration. One way of looking at it is that they are running quintuple time mentally, so much so that they appear relaxed and nonchalant on the surface. I once knew a sociopathic Don Juan who was so talented that his targets thought they seduced him, but really he was that far ahead of them (all the while adjusting his personality to his reading of the mark’s ideal and again laying a trail of bread crumbs/candy). Top rank sociopaths are so good at what they do that their manipulations approach the realm of “weaving reality.” I would predict that Madoff approached this level. When I was in management at E.F. Hutton I hired a couple of sociopaths. One had eyes that were just pools of trustworthiness – it was almost impossible not to trust him. In turned out that he was a fraud, he couldn’t do half the things he had said he could do. Obviously I should have tested him more. The other one also interviewed very well, including great eye contact. Hutton went out of business soon after, I later heard that he had been fired as a psychopath by a law firm. He was said to be a workplace bully and a puppetmaster manipulator whose specialty was turning people against each other and getting individuals fired. Charles Ponzi was so smooth that many victims begged the government to set him free to continue his magic. Apparently, sociopaths gain this persuasiveness and manipulative ability due to a different brain structure. Finally, I would recommend paying close attention to those regulatory officials who gave Madoff a pass or looked the other way. Due to both personal experience with corporate human resource departments and outside observations I believe that sociopaths recognize and protect each other, even to the extent that non-criminal sociopaths will often protect criminal sociopaths. 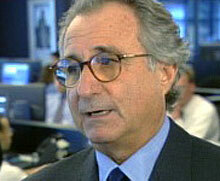 How could Madoff not have made any trades for 13 years? All material copyrighted 2017. Nonprofit internet use allowed with proper credit. For nonprofit published or for profit use please contact me. "Path Whisperer" and "pathwhisperer" trademarked. This blog advances opinions, not statements of scientific certainties. All outside commenters are solely responsible for the content of their comments. If included in the blog they are presented as the commenters' own opinions only. From Quora, select paras from "How do you bring down a psychopath psychologically?" Was this the moment Travis Alexander finally realized Jodi Arias was an alien level psychopath? "Best book to understand Gaslighting"
Search: are narcissists attracted to sociopaths?